Well, I’ve had to allow myself an amount of time to try to understand what went on with Jack Albert Harold Walter Dinnis and Florence Violet Heard. When I write about the family I’m finding, I do try to make it easy to read. My problem is that often I don’t really understand it myself. Because of the total excitement of discovering someone, the information comes all at once and it gets hard to write about it in a way that makes it clear. So last week I was contacted by the lovely Julie Heard, and hopefully this is how the family is connected! 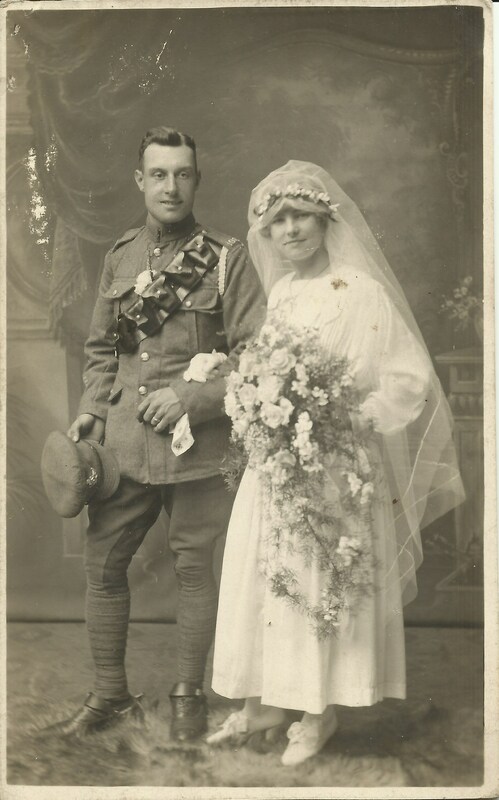 Florence was aged 21 on their wedding day, and had already undergone a hysterectomy when she was 17. Florence and Jack loved children, and took in Ernie and George Heard in the 1920s and 1930s. They were Florence’s nephews, sons of Arthur Heard, Florence’s brother. 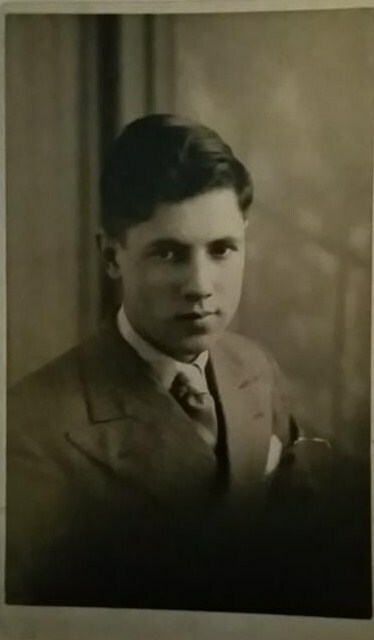 There is some sad information regarding Ernie, he died on Sunday 30 November 1941, age 23 the son of Arthur George and Lilian Margerette Heard; nephew of Mrs F. V. Dinnis of Brixton, London. He was a rifleman in the 1st battalion, King’s Royal Rifle Corps. 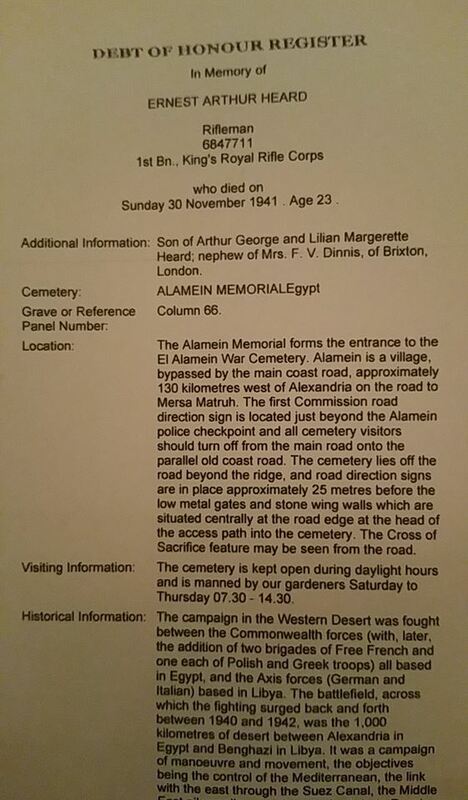 He is buried in the Alamein Memorial, Egypt. This entry was posted in John Albert H. Walter Dinnis, World War 2 and tagged Ernie Heard, Florence Violet Heard, Julie Heard, Kings Royal Rifle corps, Robert Heard, World War 1. Bookmark the permalink.